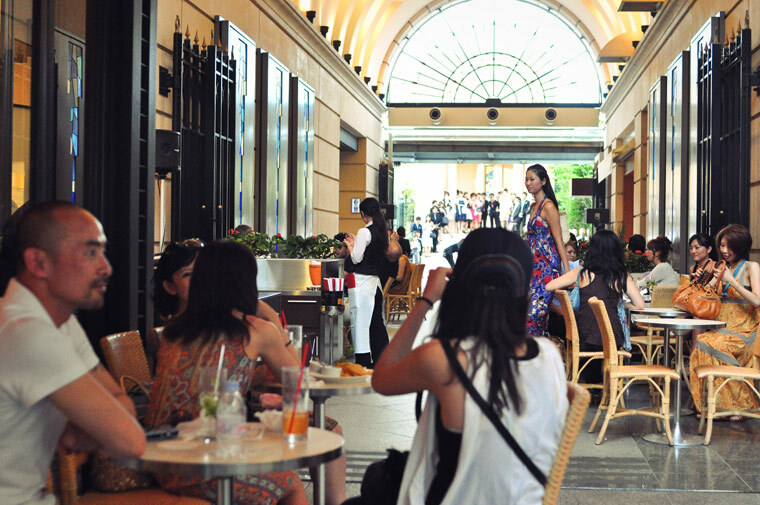 Omotesando is a neighborhood known for its cluster of high-fashion flagship stores (Chanel, Dior, Prada, you name it, it’s there), as well as its boulevard lined by Zelkova trees that provide welcome shade and refreshing greenery. It’s in this setting that we visited Anniversaire Cafe and found ourselves in the midst of a wedding ceremony, along with a mix of wedding partiers and fashionistas taking a break from the shops. A bit surreal, and even more so when a white-gloved and black-suited trumpeter set himself up to accompany the exit of the newly married couple. But so much for the environment. We had just finished a long day of walking, and stopped at Anniversaire to try the espresso. From what I gather they’re using Maruyama’s espresso blend, which, while pleasant, was a touch too bright and bitter for my tastes. Without being too familiar with Maruyama’s blend, and keeping in mind their reputation, this was probably due to a rushed shot pulled at a busy location. 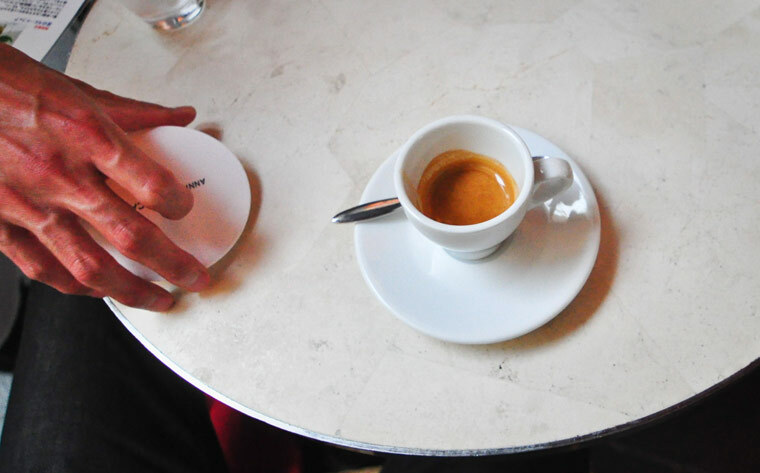 Regardless, after we finished our mojitos, any quibbling over minor details of espresso extraction seemed quite beside the point, and we went on with enjoying the atmosphere & people watching. Click here to see a map to Anniversaire’s location.